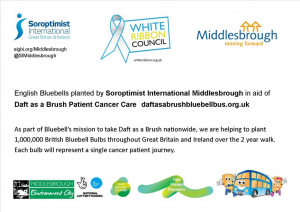 500 bluebells bulbs were planted in a dynamic ‘S’ shape in a prominent location in the centre of the Albert Park, Middlesbrough, near to the Pine Wood and the Fountain, in aid of Daft as a Brush – Cancer Patient Charity. 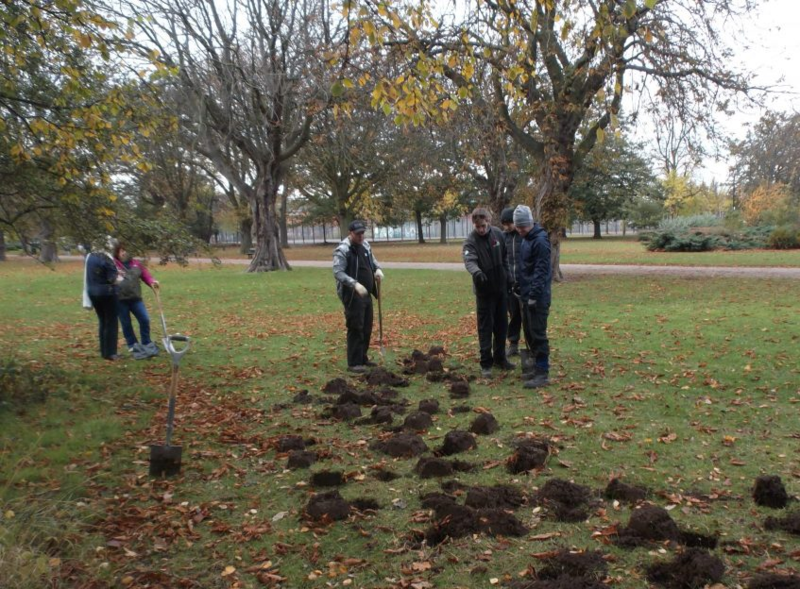 Thank you to all those who helped to plant the bulbs, Casper Scallen, and Apprentices Brook, Alex and Daniel from Middlesbrough Environment City, and Middlesbrough Council. It was a lovely afternoon in Albert Park and we look forward to a wonderful display in 2019. This entry was posted in News on January 28, 2019 by rachael.